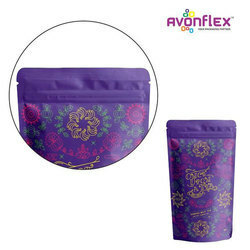 Avonflex manufacture trendy pouches; these pouches are in different shapes such as 3 side seal pouch, stand up pouch, Side Gusset pouches, spout pouch, zipper pouches, and many more innovative pouches to serve your customized requirement keeping in mind factors like logistics, pricing and perishability for longer shelf life. Pouching materials offered by Avonflex are manufactured by utilizing finest quality raw materials and latest technologies and they are known for their tear resistance, moisture resistance, strength and durability. Silver Pouch is a convenient packaging solution for various products. These bags have centre and bottom seals. In this case these bags would have one side open for the filling of contents. Once the bag has been filled, a heat sealer is used to seal the bag. We offer manufacturing options of Silver Pouch with customized printing on a variety of materials, sizes and styles. 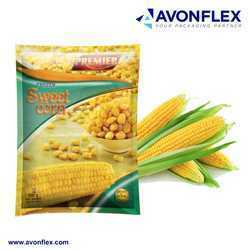 These bags are useful for the packaging of wide range of products and Fast food items. Silver Pouches are available ready in stock in following size given in table below. Pillow pouches are one of the most economical forms of packaging, extensively used in the market. These pouches are formed with the shape of a pillow and consist of a bottom, top and back seal. The back seal extends to the length of the pouch and hence it is referred as “Back or T-Seal or Centre Seal Pouch”. The Bottom-side is usually left open for filling the contents. Pillow Pouches are well known for full wraps around graphic displays. The structure of the pouch is such that one can always fill in the contents with “Higher Filling Volume”. 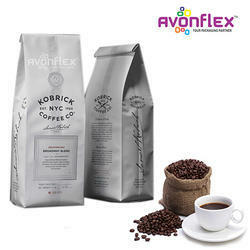 Avonflex offers a wide selection of sizes and styles to suit the specific needs of any product. We’ll take into account your product specifications as well as any regulations necessary to produce a high quality, flexible packaging solution that you can rely on. Avonflex can optimize your product packaging even further with advanced customization options to suit any product or application. Consumer-friendly features like tear notches, re-sealable zippers or clear windows can also take your product to the next level. Three Side Seal Pouch are qualitative and economical flat pouches, which are made from one piece of film where all the three sides of the bags are sealed. One side of the bag is kept open for the client to fill the product and seal the fourth side with a heat sealer. Avonflex offers manufacturing options of three side seal pouches with customized printing on a variety of materials, sizes and styles. These bags are useful for the packaging of wide range of products. This form of packaging is user friendly and space saving. We provide custom options for our three side seal pouches. We print up to 8 colors custom printed bags by using the latest rotogravure printing technique. We also offer metallic layers in the production of three side seal pouches dependent on products being packaged. 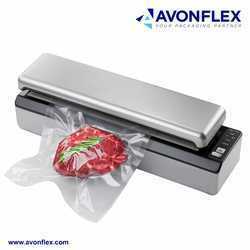 These bags are extremely effective for refrigerator packaging as they are space convenient. The bags are equipped with various accessories such as hanging holes, euro slots, tear notches, transparent windows etc. Retort pouches are one of the most advanced forms of pouches, which is actually made from diverse layers of plastic and metal foil laminate. These pouches have the ability to withstand thermal processing, which is generally used for sterilization or aseptic processing of products. Retort pouches can extend the freshness of its contents beyond the average time involved. These pouches are manufactured with materials, which can withstand the higher temperatures of the retort process. Thus, these types of pouches are more durable and puncture-resistant in compare to the existing series. Retort pouches are used as an alternative to canning methods. Retort Pouches safeguards the freshness, aroma and taste of the ingredients inside. It has a longer life shell and reduced transportation cost. It is safe and easy to open in contrast to cans and jars. It has great brand appeal and is convenient and user friendly too. The reduced processing cost is its valuable advantage. Avonflex manufactures contemporary retort bags, allowing you to choose from our stock retort bag or customized retort bag options. We utilize the latest rotogravure technique for printing up to 8-colors custom printed retort pouches which are known for their excellent printing quality, attractive and elegant designs. 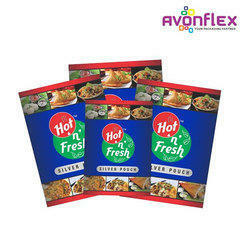 Our pouches are also inclusive of metalized and aluminium foil lamination. Retort pouches leads to less storage space and it is light weight. Our retort pouches provide convenience in the packaging of pre-cooked meals and contribute to more environment friendly packaging option. Our retort bags are eco-friendly, cost effective and are produced with the highest quality materials. Ready to Eat Food Packaging. Ready to Cook Food Packaging. Side gusset bags have become a packaging favorite as they are convenient, stylish and durable. Gusseted bags are the latest trend in the packaging industry. They are chosen due to their ease of use and less space occupying factor. Not only are Side Gusset Bags visually attractive, but they also protect the quality of your product with strong protective barriers that are specifically designed with your application and product needs in mind. A number of consumer-friendly features also make Side Gusset Bags a popular choice, including vent holes, handles and corner tack seals for easier sealing after the bag’s initial opening. It is ideal for modified atmosphere packaging and on shelf product differentiation. 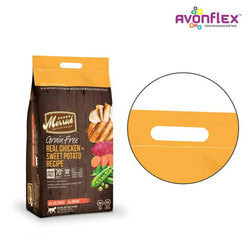 Avonflex is the proud manufacturer of high quality gusseted bags. We offer side gusset bags in various sizes, shapes, colors and categories. We can customize these side gusset pouches to meet your specific requirements including many designs, , sizes, materials, colours, printing and several other features & options. With our extensive knowledge and experience in the field of pouches, we can deliver what you need. Stand-Up Pouches are convenient, flexible packaging solutions that are designed to stand on their own when full. These pouches have a variety of uses and can be used in nearly every industry. Ideal for the packaging of solid, liquid or powder products, stand-up pouches is a popular choice among companies looking to showcase a variety of products in an attractive way while simultaneously saving on shipping and freight costs. This lightweight pouch packaging also boasts environmental benefits – resulting in less waste than its box, carton and can counterparts. The main feature of stand-up-pouches is their base in the lower portion. Once the pouch is filled with a product, the base expands and allows the bag to stand upright when it is displayed on shelves. Stand up bags are the best choice for packaging of various products. 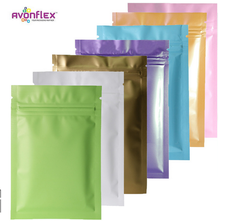 At Avonflex these pouches are available in different sizes, shapes and colors, ensuring that you will be sure to find the right bag for your products. 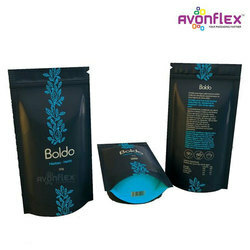 Avonflex utilize the latest rotogravure technique for printing up to 8-colors custom printed stand-up pouches which are known for their excellent printing quality, attractive and elegant designs. Our pouches are laminated with metalized or aluminum layers, which are able to provide a high barrier against moisture, oxygen and light, conserving its contents for longer. Our stand up pouches are available with unique and innovative designs, which is an effective marketing tool for attracting potential consumers towards the products. 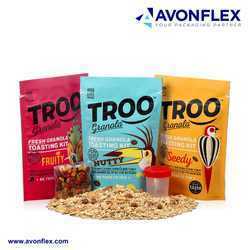 When the stand-up-pouches are empty they are extremely light in weight and flat, meaning they take a minimal amount of storage and also cost less in terms of transportation, making them cost effective and economical for packaging your products. Adding a zipper to your pouch can help you increase its usefulness. A zipper adds to the utility of the stand up bag in this way: When a customer takes the pouch home, instead of pouring the contents out, they can store them in the bag. Since the zipper lets them open and close the pouch multiple times, they can be sure that the contents are safe. Thus a zipper eliminates the need to store the contents in another medium. Adding a zipper doesn’t drastically raise the cost of the pouch, so it’s an affordable solution. For solid products however, the zipper is a good addition. If you are planning to get a zipper on the bag, make sure you also get tear notches. With a notch at each side, the customer can easily open the bag without looking for scissors or cutters. The zipper is located below the tear notches and can be used once the packet is torn open. Spout pouches are one of the most attractive forms of promotional packaging. They are more functional, stable and shelf-accessible than other liquid storage solutions. Spouted pouches are reusable hence increasing sales of spout pouches due to their environment friendly nature. Spout pouches are able to provide flexible packaging options for liquid & fluid products. It is a safer packaging solution which ensures that the transportation of liquid products is easier and mess-free in comparison to Plastic bottles or Glass bottles. 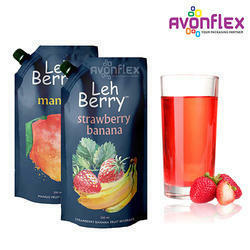 Avonflex provides spout pouches which are reliable, flexible and safe for the packaging the liquid products. We produce these pouches to meet the demand of liquid products of different market categories. We offer them as part of our stock and custom spout pouches selection. We manufacture our custom spout pouches by printing up to eight colors, with the use of the rotogravure technique. Custom pouches are helpful to create brand awareness and for the marketing of the products among more consumers. We make use of high quality material within the production process which ensures that our pouches are leakage proof and product friendly. With our extensive experience and talent within the packaging industry, we’re especially capable of offer top quality, innovative, and specialized spouted pouches. Because we know the requirements of various industries, from food plan to personal care, we’ll use you to definitely devise an answer that suits your unique situation. Vacuum Pouches are used for extending the shelf life of a product and to keep them fresh for a long period of time. They are mostly used for preservation of food products and for medical or other similar applications too. Likewise, they also prevent products from corrosion, degradation and even from oxidation of its contents. Product freshness is one of the key benefits of vacuum pouches as they preserve taste and aroma, while also helping the product to enjoy an extended shelf life. It is a cost-effective solution for food packaging and other products. Vacuum Pouches are usually made from multiple layers of plastic thus providing high resistance to moisture and punctures. They are sealed with vacuum sealers where air is sucked from the inside before the seal is placed. Vacuum bags usually have a shiny texture due to the lamination options and therefore they are useful as a form of promotional packaging. 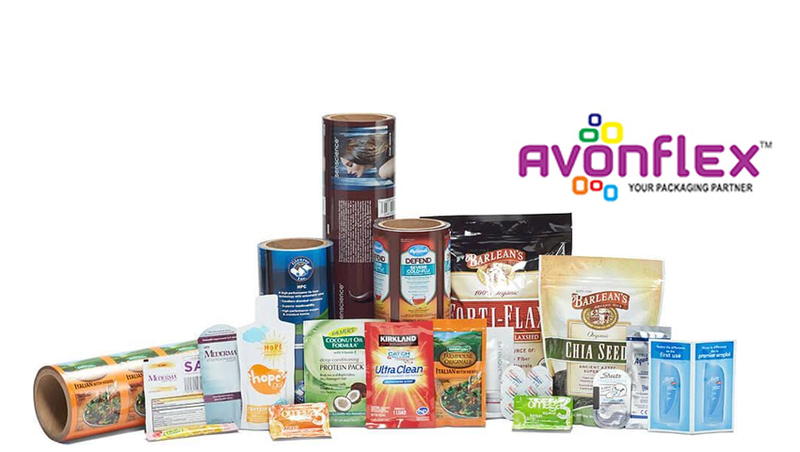 At Avonflex we offer a stock selection as well as custom made vacuum bags according to your brand's requirements. We make use of the rotogravure technique on all custom printed vacuum bags. This process allows us to print up to 8 colors. Vacuum bags are helpful for preserving your products and marketing your brand. We make use of the plastic film within the production process. The combination of these various plastic films adds to the overall strength and flexibility of vacuum bag styles. We produce all stock vacuum bags and custom vacuum bags as laminated bags thus creating a scratch resistant feature. Foods having high moisture content. Pouch with round hole punch, euro slot punch, butterfly punch & D-cut handle for hanging purposes. Customised Size as per customer requirement. Different Structures & Thickness as per Product requirement. We are a leading name in the field of offering competitive printed laminated pouches that find application in meeting the packaging demands of different products. Here, our expertise lies in offering these laminated pouches in different color and sizes so as to fulfill the varied end packaging needs of the customers. With these laminated pouches designed to be used for packing all types of items in prescribed quantities, the superior construction standards maintained in these laminated pouches also ensure superior sealing safety and holding capacity of the filled pouches. These pouches are perfect for meeting the packing demands of all types of personal care products as well as products in powder form. Among many advantages, one that is the most likes is its delivering excellent printability and easy tearing material quality, thus making these pouches highly preferred in the markets. With our expertise to make these pouches available in different sizes, shapes and base construction material options, the attractive label and convenient to use options of these pouches make this customer friendly as well. We can offer these pouches with options of spout, zipper, handle and others as desired by the customers. • Ready to Eat Food Packaging. • Ready to Cook Food Packaging. Self-Sealing Printed BOPP Covers are manufactured with superior quality Biaxial Oriented Polypropylene (BOPP) films. These bags have high tensile strength and impeccable physical properties like good dimensional stability, water proofing, transparency etc. These bags are available at highly competitive prices and customization is done as per the requirement of the client. The latest Dotted Seal Technology has been adopted to give extra sealing (perforation) on sides to strengthen the bag & remove the initial tear-off from the edges to retain the product for longer time period. These bags can be used for different products & various applications. BOPP Bags for Hosiery and Garments. Shaped pouches provide a guaranteed way to stand out on retail shelves. With a wide range of pouch converting equipment and die-cutting technology, we can design and manufacture customized pouches with modern, ergonomic shapes. 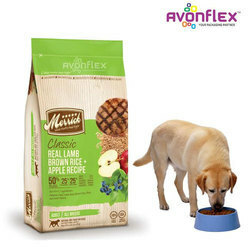 Avonflex offers shaped flexible pouches which can be shaped to match brand, function, and appeal for a variety of packaging applications and markets– including food, pet food, pharmaceutical, and more. Our shaped pouches can also include fitments, closures, valves, stand-up capabilities, retort applications, and more – each with outstanding print graphics and quality performance. A Notch is provided to a pouch for easy opening of the pack. This tear notch helps easy opening and also customer convenience. Tear notch can be introduced to any of the pouches. 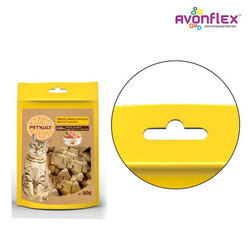 Pouches with Tear Notch are provided by Avonflex wherein a portion of the pouch is pre-cut to coax the consumer initiate the tear-off action immediately. Tear notches provide pouches with ultra-clean and straight pouch openings. One can use tear notch to easily and quickly open the pouch just by hand. Tear notches can be used in a variety of pouch applications. Euro hook is type of hole which is introduced in the pouch for easy hanging of product. Hanging of product leads to attraction. Euro hook can be introduced in any type of pouch. 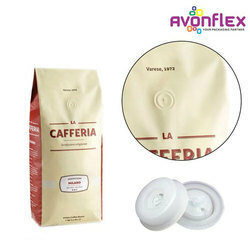 Avonflex offers the euro or round punch hole as pouch add-on features, which brings more flexibility for pouches. These add-ons can be hung and viewed by customers, as the vendors deem necessary. Customized handles are designed to add value and boost consumer convenience. We provide ergonomic handles in different styles and sizes so that one can use it for better carrying and handling of the product. One way pressure-relief valves or degassing valves in packaging allow air to escape an airtight container while it also keeps air from returning to the container in the process. Valves such as these are important in food packaging to prevent oxygen from degrading the food that is in the packaging. Avonflex offers these valves to enable our clients to protect the freshness of their food products. The most common use of packaging that contains a one-way degassing valve is to preserve the freshness of roasted coffee. Coffee is extremely sensitive to exposure to oxygen, and the flavour and quality of it will degrade quickly when not packaged correctly. A degassing valve also vents the buildup of CO2 gas that fresh roasted coffee gives off for about seven days after the roasting process is complete. In addition, it keeps moisture, oxygen and contaminants away from degrading the quality of the coffee. Food applications which has active ingredients. A sachet is a small closed container made of plastic, containing a small amount of something, usually enough for only one occasion. Sachets vary in sizes, shapes and appearance as per requirement. Avonflex uses high-grade raw materials and best manufacturing technique to manufacture Sachets and Avonflex also supply a wide range of materials as per industry requirement. Different Structures Thickness as per Product requirement. Aluminium Foil pouches are especially made of aluminium foil material only. It is a structure of Al foil or Al foil play as major contribution. Avonflex has after a lot of research and trials we have perfected the art of manufacturing Aluminum Foil Pouches and Laminates. Either it’s the Matte Finish Dull Aluminum or Glossy bright aluminum foil pouches, we prepare these in prime quality. We also provide Aluminum foil laminates with multi-color printed custom designs and artworks. Avonflex provides reclosable or resealable zippers as pouch features and options (Add-ons). They are produced with a plastic track with two plastic components, which interlock for reclosability in a pouch. These packaging features assure that the contents stay fresh for a long time. These zippers can be used for storing and packaging food products, which need extended time for preservation of nutrients, taste and aroma. The zippers help in unpleasant odour diffusion too.